I’m currently running IE 8 on a windows 7 machine. When I select “View Source” from the browser, Notepad is open. In IE 8 this editor is lot better then in previous version. But I like NotePad++ as my default editor. 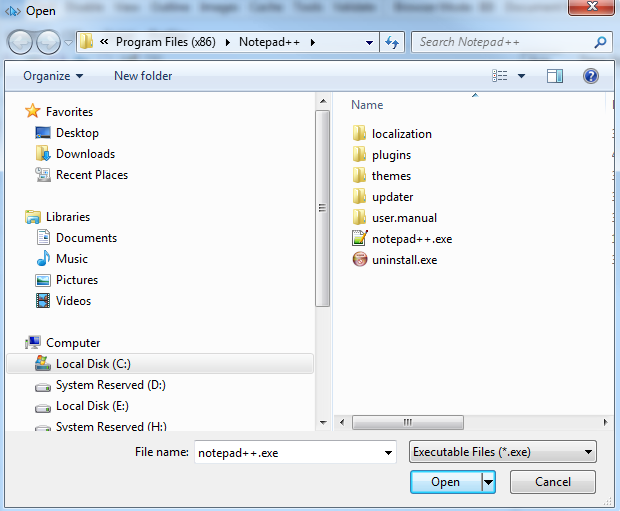 In previous versions of IE I had to edit the registry to make NotePad++ the default view. In IE 8 the registry changes do not seem to work. 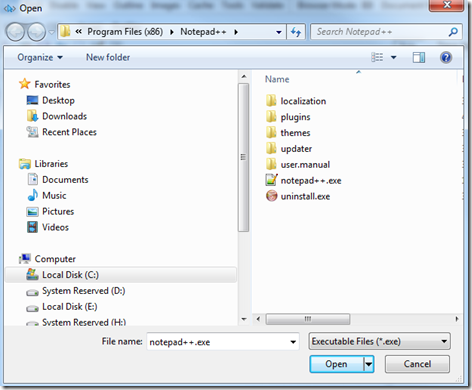 To enable NotePad++, or any editor, to be the default for View Source, you must open Developer Tools. 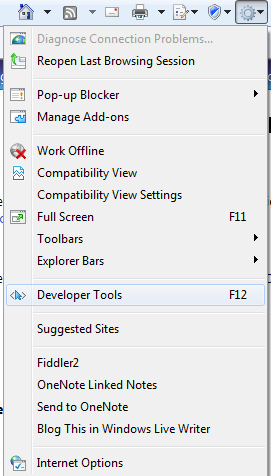 The Developer tools can be open by the F12 key or the Tools menu (see image blow). 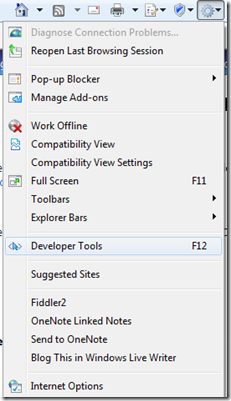 Once you have Developer Tools open, select “File” –> “Customize Internet Explorer View Source”. Here you can select the Default Viewer, Notepad or other.